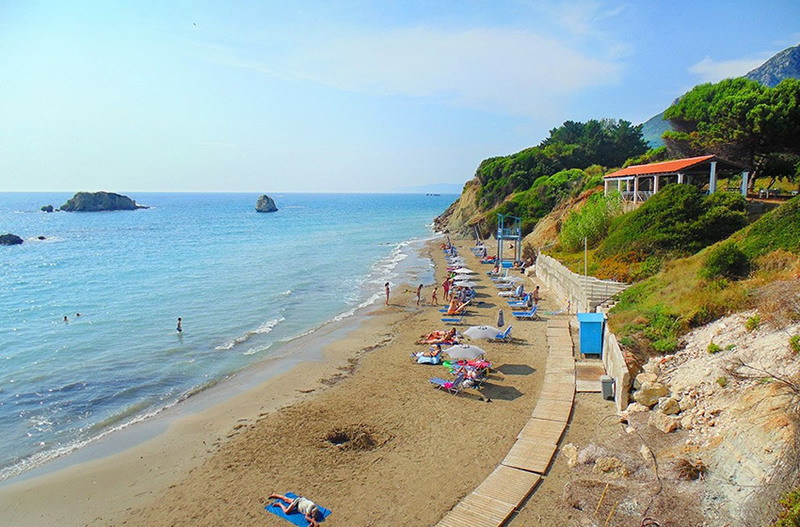 Prasoudi beach located in the southwestern part of the island, 30 km from the city center and 4 km from the village of Saint Matthew. The beach has sun loungers and parasols as well as taverns you can taste delicious seafood delicacies and traditional dishes. Ideal for families with young children and romantic couples.